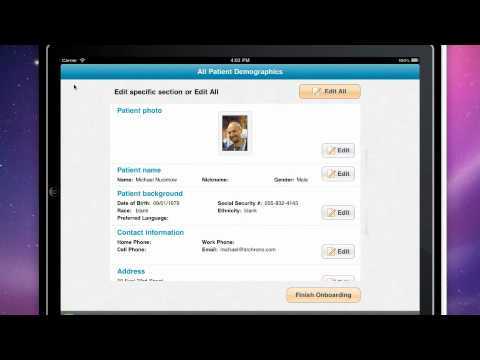 A patient check-in app. Free. Give patients iPads in the waiting room. Replace paper clipboards and save staff member’s time by having all information kept up-to-date by the patient. Within minutes of downloading the app, you’re ready to start the patient check-in process with an iPad. Drchrono are a technology company located in the heart of Silicon Valley dedicated to bringing innovative product and design to our nation’s healthcare system.